Prior to treatment, anesthesia will be administered. Whether you are given local anesthesia, general anesthesia and/or intravenous sedation depends upon the type of procedure. You may undergo topical treatments to help the wound close and heal; these include gels and tapes to treat scars and discoloration. Injectable treatments are used to fill sunken or depressed scars. They work by relying on steroid-based compounds to reduce collagen formation, but must be repeated periodically in order to maintain results. Surface treatments are the most common type of scar revision, softening their appearance and reducing uneven pigmentation. Surface treatments either remove the top layers of skin or alter the existing tissue. 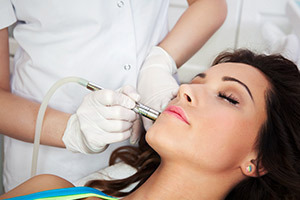 Options include dermabrasion, laser therapy, chemical peels, and skin bleachers. Occasionally, deep scars require an incision for surgical removal.